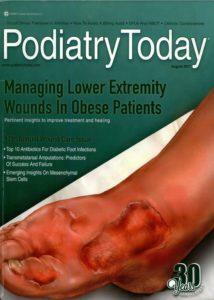 Dr. Peter Blume publishes another important publication related to saving diabetic feet. Given the potential risk of diabetic foot ulcers becoming infected, it is imperative to have a strong understanding of the current antibiotic options. 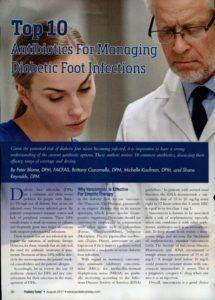 Diabetic foot infections (DFIs) are a common and often severe problem for people with diabetes. 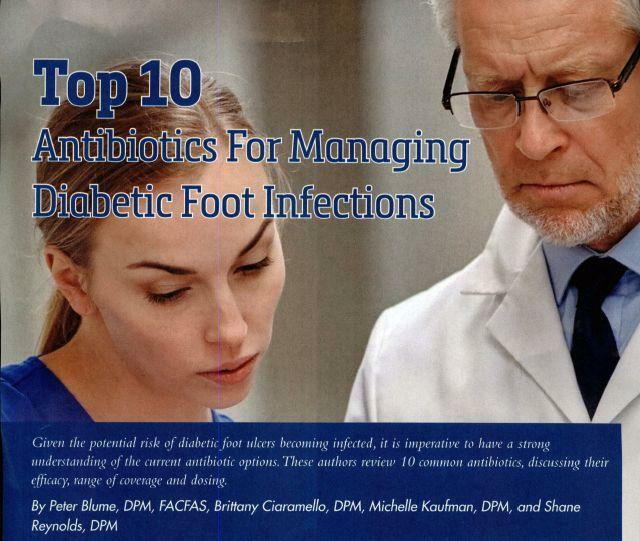 Though not all diabetic foot ulcers are infected, many become infected given the patient’s compromised immune system and lack of peripheral sensation. These DFIs usually begin as small ulcerations or calluses, and frequently grow into larger ulcerations with rampant polymicrobial infections. These authors review 10 common antibiotics, discussing their efficacy, range of coverage and dosing.